Named for the beautiful wild flower, the Sacred Datura, that grows in the desert southwest, this is the first gallery established in theCoyoteGulch Art Village. 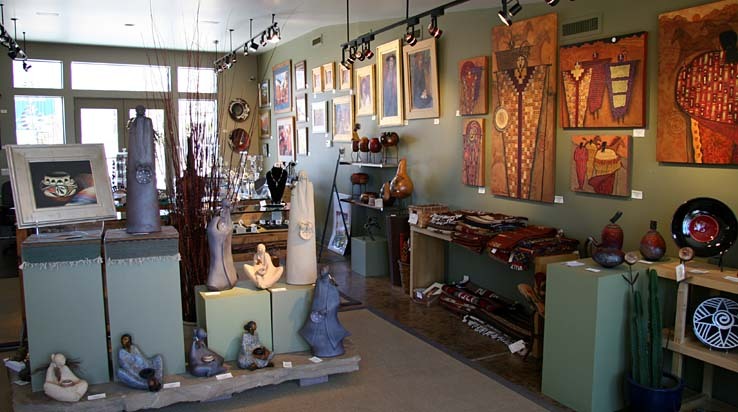 True to its name,this gallery offers beautiful works from artisans and crafts people mostly from the southwest region of the United States – some of whom live in Kayenta. Best known for its sensational jewelry created by well-known local and regional artists, Datura Gallery also offers fused and stained glass works, bronze sculpture by Native American artists, distinctive wood works and paintings. Customers enjoy shopping at Datura Gallery for gifts and one-of-a kind treasures for themselves.